For me, I think werewolves are pretty new. It's only as I've been reading and then writing my reviews for this month that I really realised that there is one paranormal creature that I love more than any else. And those are werewolves. Teen Wolf - I think my first ever introduction to werewolves was in the 80s film, Teen Wolf. He looks super hairy and of course it's all a little bit ridiculous and uncomfortable to watch. But it was a classic and of course, one of my family's favourite films as I was growing up. I do not watch the modern remake. Jacob from Twilight - You might come across this fact during my 'Vampire Week' later on during Paranormal Month but I'm not a big fan of the Twilight movies. And I think I prefer Jacob as a werewolf, rather than shirtless and showing off his six pack! Professor Lupin from Harry Potter and the Prisoner of Azkaban - Now I am a big fan of Harry Potter and I really loved the films. I like how they made Professor Lupin transform into his werewolf form for all of us to see. And he's not hairy or big. He's kind of thin and sorry-looking. 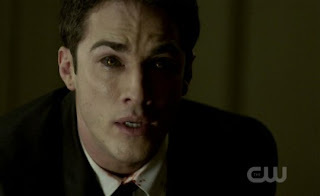 Tyler from The Vampire Diaries - It was around the time that Tyler turned into a werewolf that I stopped watching the show. Not because of the werewolf story or anything though. Especially because I was liking how they made his transformation into werewolf form incredibly painful and drawn out. Adds a bit of drama and conflict, but I do like it when characters struggle with huge changes. 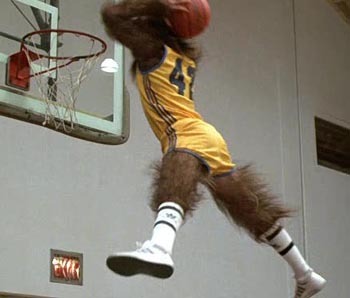 So I don't think I ever saw Tyler as a werewolf. Any fans of the show reading this? Did it turn out OK? And that's all I have time for today. 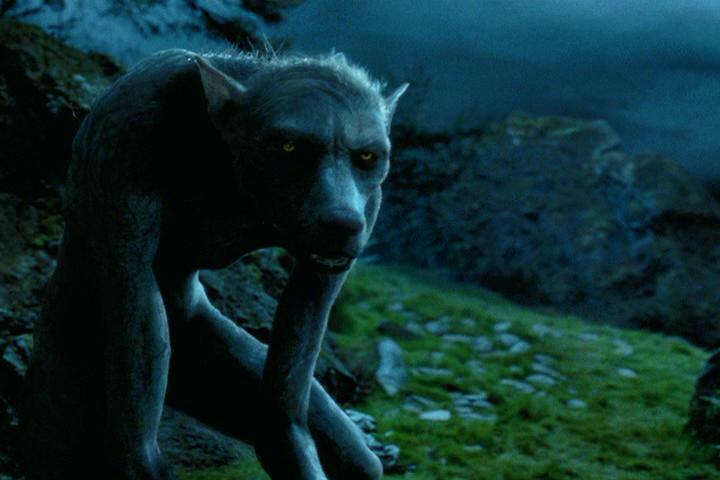 Do you have any favourite werewolves from film or TV? Let me know. Also, what do you think of my list? I think I prefer werewolves to vampires, but that's mainly because they're portrayed as less whiny and tortured in general. 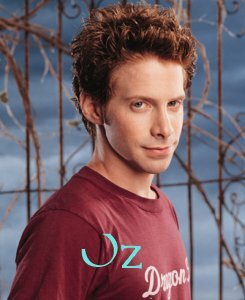 I love Oz, he was such a great character I loved the fact he was so smart, and he was quiet and thoughtful. I also love the whole were / shifter set up in the True Blood books, I love the way Charlaine Harris has developed such a strong hierarchical society for them. Also lots of them are really hot! I agree, with you about Lupin, he does look very thin and sad as a werewolf! Jenni - Oz is definitely a great character! I loved him. I did wonder if I should include the True Blood shape shifters, but that is another TV programme I've mostly stopped watching :( But I enjoy the books. Cliona - He really does, doesn't he? Poor thing. Have you read the Bitten books by Kelley Armstrong? Those are really great and about a pack of werewolves. The Tyler storyline did work out ok. I guess. If continuing to live as and turn into a werewolf every month is ok. He's doing all right at the moment anyway. Big fan of that show, I love how fearless they are when it comes to killing off characters, and they do great cliffhangers. great post! I LOVE Werewolves and my fave movie... werewolves and in general is Ginger Snaps (there are three, they all rock!) You should check it (and the other two) out! Ha great post! 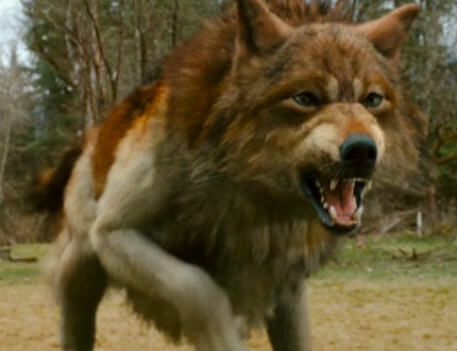 I love Oz and Lupin, but my favourite werewolf of the moment is Henry from Sanctuary. Cute, funny and a total geek, plus very protective of his "family". And season 4 is starting soon whoop!